Phone and cable access box for RV pedestal. Access box has a lip with predrilled holes so it can be attached to the back of our RV pedestal units. 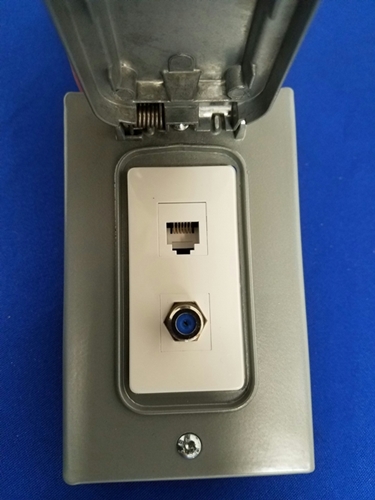 Includes phone and cable attachments in access box. The back of our pedestal has punch outs for the access box. 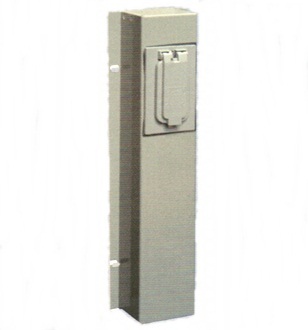 Access box is affixed to the pedestal with self tapping screws (provided). The phone and cable attachments are included in access box. Go to top of this Phone and Cable Access Box for RV Pedestal page.